Adrian Smith, one of the architects behind the world's present and future tallest buildings, has dismissed claims that we are entering the era of the "megatall" skyscraper (+ slideshow). Chicago-based Smith – whose portfolio includes the 828-metre Burj Khalifa and the 1,000-metre-proposed Kingdom Tower – said it would be a long time before buildings over 600 metres tall become commonplace – despite technological advances. "It's not likely to happen for several years yet," he told Dezeen. Skyscraper authority the Council on Tall Buildings and Urban Habitat (CTBUH) released a report last week claiming that "megatall" towers of 600 metres of more are "the new frontier for the world's tallest buildings". CTBUH predicts that the number of megatall skyscrapers is set to more than double in the next five years, rising from three to seven. But Smith said that world economies and conflicts will stand in the way of many proposed towers. "There is too much conflict, too much financial turmoil, and too much debt within the nations that have the technical skills to see a mega-structure to fruition," he said. Smith's business parter Gordon Gill shares his scepticism. "I think that there will always be the ambition and desire to strive for noterietay through height and I would expect that to continue," he told Dezeen. "However, the realisation of those ideas will demand more and more stringent scrutiny by the investors as it relates to the ability to deliver these projects on an economic and technical basis. Over time, it seems the quest to go taller will become more and more challenging from a feasibility perspective." 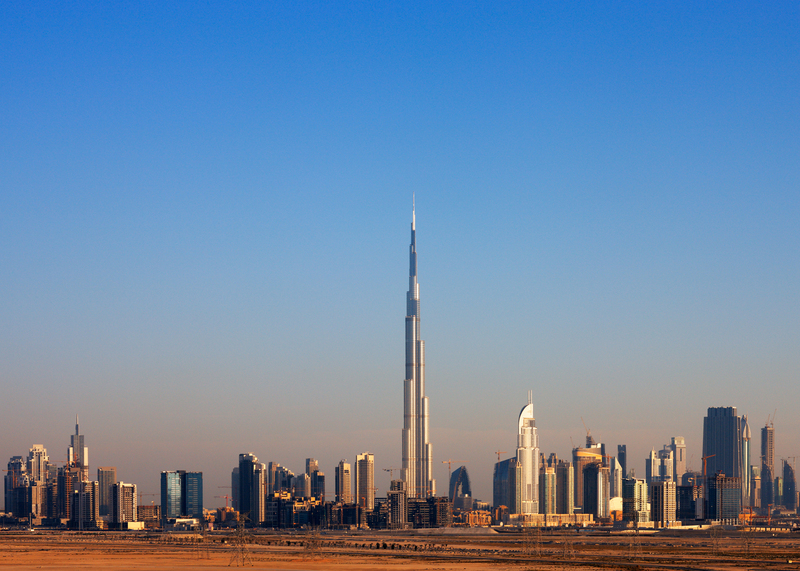 Smith and Gill worked together on the Burj Khalifa – currently the world's tallest building – while both were partners at architecture firm SOM. They were also behind the Trump Tower Chicago and London's Broadgate Tower. They set up their own firm Adrian Smith + Gordon Gill Architecture in 2006, and have developed a reputation as skyscraper experts. As well as the Kingdom Tower, they have drawn up designs for a pair of 450 metre-high towers in South Korea, a 468-metre-high crystalline skyscraper for China, and a 400-metre-tower for India. They have also designed a high-density, car-free "satellite city" for 80,000 people that is underway near Chengdu, China. Unlike Smith, SOM's Brian Lee believes advancements in construction will continue to fuel the trend for megatall buildings. "Materials and technologies that enable megatall buildings continue to improve," he told Dezeen last week. "Buildings like the Burj Khalifa utilise these innovations to concentrate density and create potent symbols for communities." But London architect and anti-skyscraper campaigner Barbara Weiss is also dubious. "More and more opposition groups are forming [against skyscraper developments], and even developers and architects working on skyscrapers appear defensive and even somewhat apologetic," she said. The CTBUH made its predictions as part of its annual report released last week. It also revealed that 2015 saw more skyscrapers built than any previous year on record.